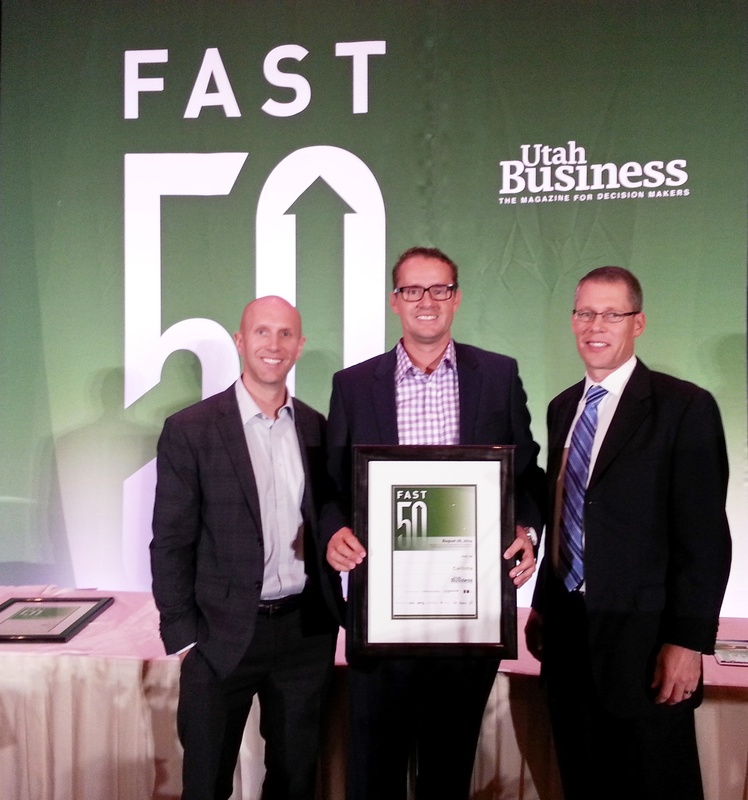 Utah Business magazine this week honored Cariloha as the 17th fastest-growing company in Utah at the annual Fast 50 Awards event. Members of Cariloha’s Executive Team at the Fast 50 Awards (L to R): Dustin Tate (EVP/Sales), Jeff Pedersen (CEO), and Brent Rowser (CFO). The 2014 Fast 50 is dominated by examples of and accompanied by illustrations of record growth and progression in industry. The Fast 50 program recognizes innovative companies that have the concepts and strategies in place to sustain record growth. Hundreds of Utah-based companies seek to be on the list every year, and only 50 companies are selected. 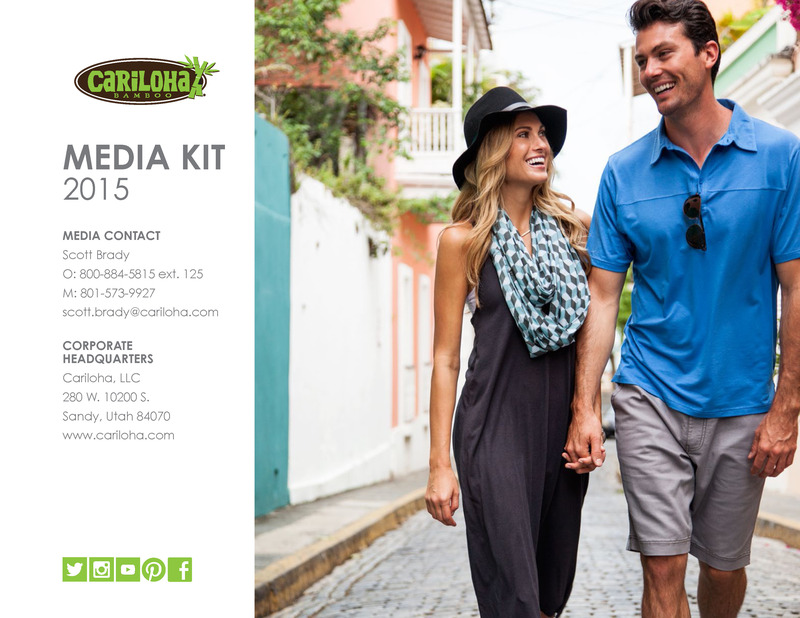 Cariloha ranked ahead of such outstanding companies as Overstock.com, USANA, and many others. These fastest-growing companies came together under one roof at the Grand America Hotel to celebrate their economic successes, which collectively brought in more than $10 billion in revenue this past year alone. This year’s list actually contained 51 entries because of a tie for 50th place. The top 50 companies were selected on a combination of five years of revenue growth and revenue generation. Also honored were the Emerging Eight—companies that have been in business less than five years but are experiencing significant growth. Utah Business magazine put on the Fast 50 Awards and will feature the companies in September’s issue of the magazine. Fox 13 News anchor, Bob Evans, was the master of ceremonies for the event. The entire 2014 Fast 50 list is featured here. In 2013 and 2014 Cariloha was named one of America’s fastest-growing companies on the Inc. 500|5000 list, and Founder and CEO, Jeff Pedersen, was recognized as CEO of the Year and an Ernst & Young Entrepreneur the Year® finalist winner in 2013 and 2014.